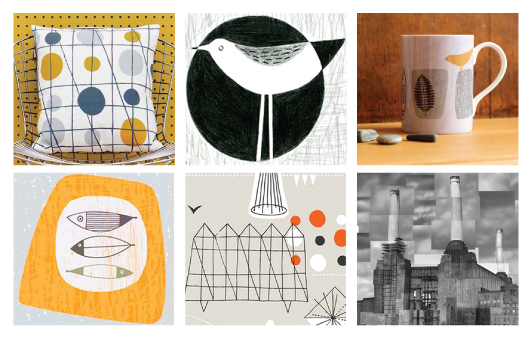 MINI MODERNS are very excited to be exhibiting with Sarah Hamilton and Paul Craig as part of the Dulwich Festival Artists’ Open House weekend on 10th and 11th May. The venue is artist Sarah Hamilton’s home and studio – a wonderful mid-century house of unusual design, set in Dulwich Woods, with stunning views over London. We visited Sarah’s Open House event last year and had a great day, so we were very flattered when she asked us to join her for this year’s event. We’ll be showing our new Whitby bedding range, alongside a selection of our wallpaper, cushions and lighting – with some special offers available for the weekend. 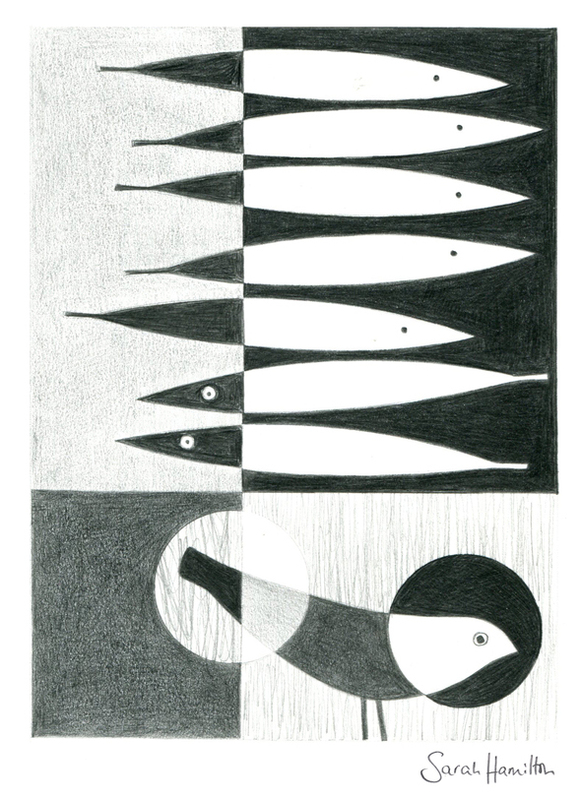 SARAH HAMILTON is an artist and printmaker, and as well as selling framed originals and prints, her designs also adorn a variety of objects, including cards, woodblocks, mugs and mirrors. Recently, Sarah has been concentrating on creating beautiful pencil drawings and she will be exhibiting a range of them at the Open House. 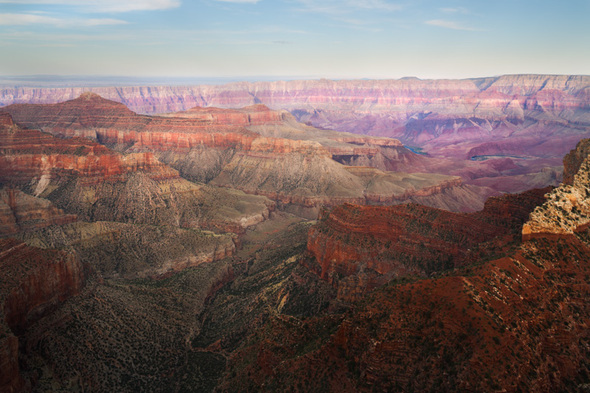 PAUL CRAIG will be showing a breathtaking range of landscape and cityscape photographs from USA, Australia and London. Paul’s work displays an amazing sense of space, richness of colour and atmosphere. As well as admiring the work, the beautiful house, and views across London, you can also enjoy sustenance from Chris and Yuko’s pop-up tea shop. We sampled their tea and cakes last year, so we’re particularly looking forward to regular visits to the kitchen during our residency.